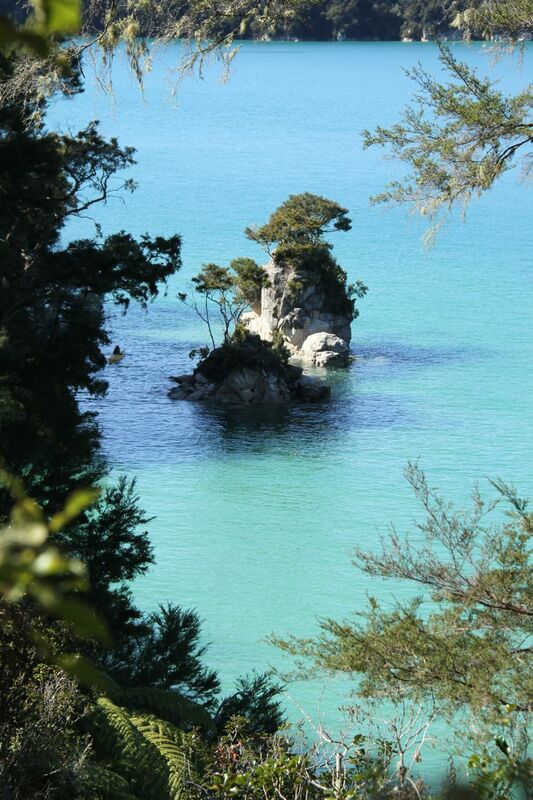 In New Zealand a change of scenery is never far away. A few hours drive or even a few bends in the road can bring an abrupt, and usually striking, change in surroundings. 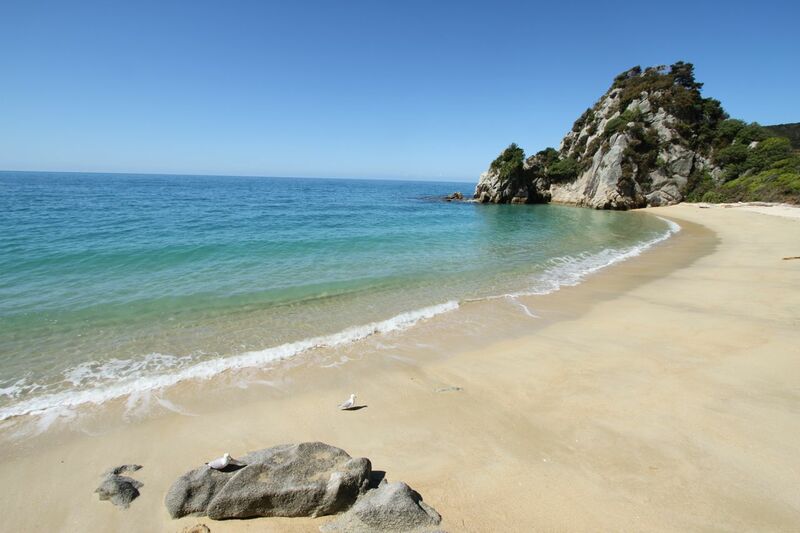 Within a day of leaving the frosty and rugged Canterbury high country, we found ourselves enveloped in the lush, near-tropical beauty of Abel Tasman National Park. 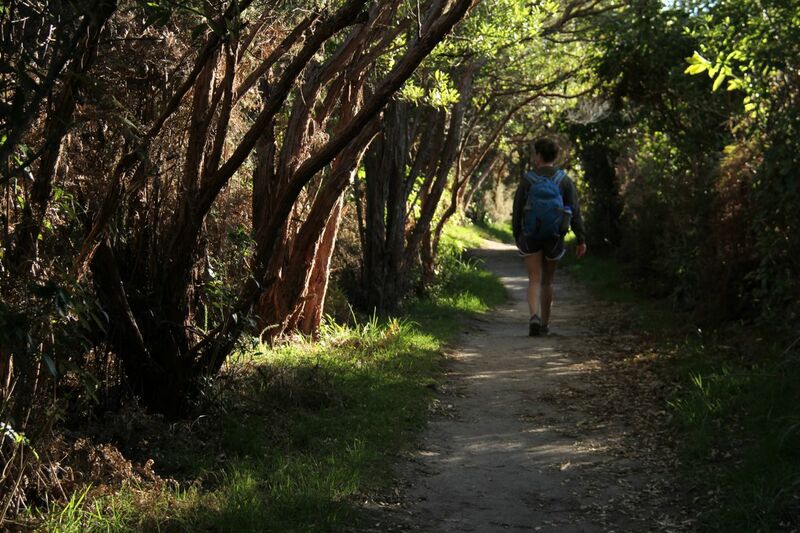 A 52-kilometer long trail follows the playful curve of coastline, and it’s deservedly and famously popular. Early spring proved a perfect time to walk the trail—warm enough that it feels summery, but early enough that the crowds were absent. And we also chose to walk sections of the track in a couple day hikes, craftily avoiding burdensome overnight packs and the $35 nightly fee to stay in the plush huts along the way. Sometimes, the lazy way is the best way. It only took a few minutes to reach our first of many spectacular views. 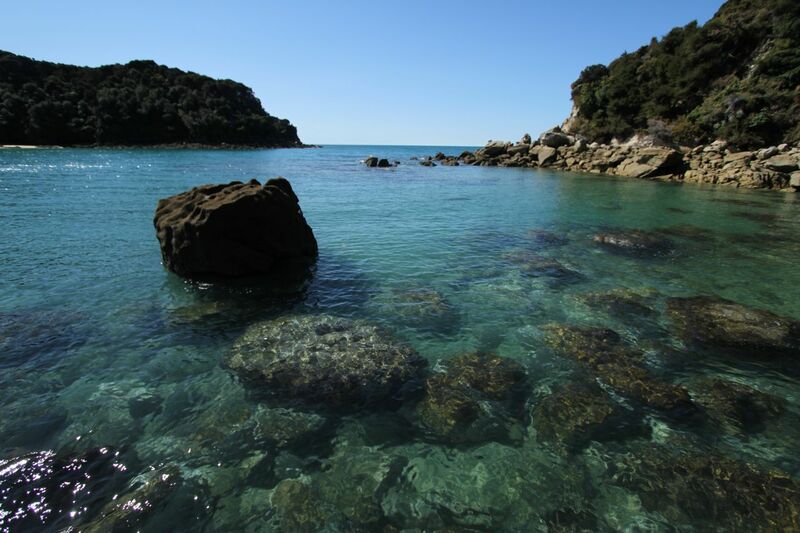 The water is a tropical aquamarine, perfectly complemented by the cool, green forest spilling down to the waters edge. Golden beaches and rocky islets dot the coastline, all perfectly framed at thoughtfully cut viewpoints. It’s clear that the parks service rakes in a pretty penny in hut fees. The trail is perfectly drained, graded and maintained. Wooden bridges span even the tiniest trickle of water and freshly painted signs mark every minor point of interest. It made for quick miles and an easily enjoyable walk. 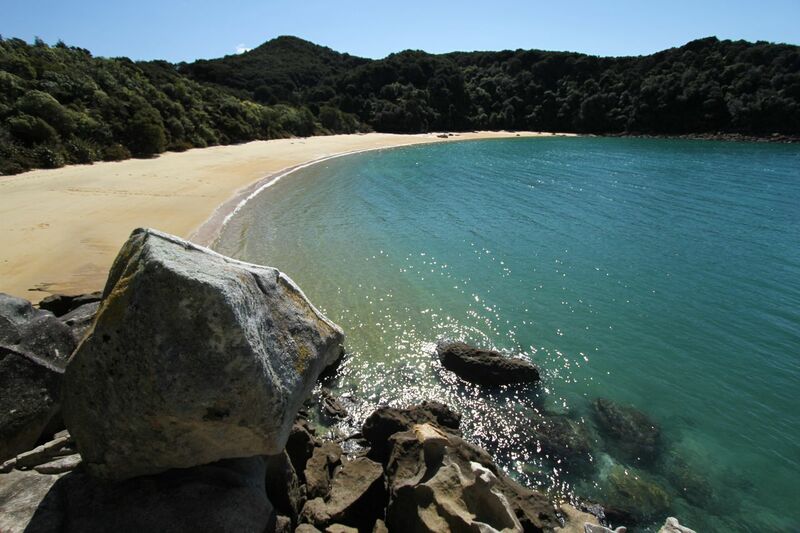 Te Pukatea beach provided a gorgeous spot to rest at the farthest point of our hike. 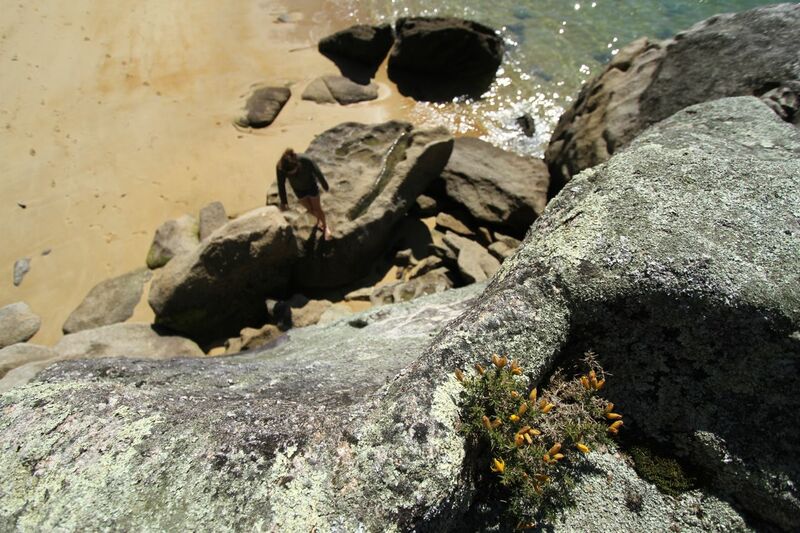 Nate clambered up some boulders at the edge of the beach, while I relaxed on the smooth sand, as yellow as cornmeal. Our favorite flora from Australia has also made New Zealand it’s home in great abundance. 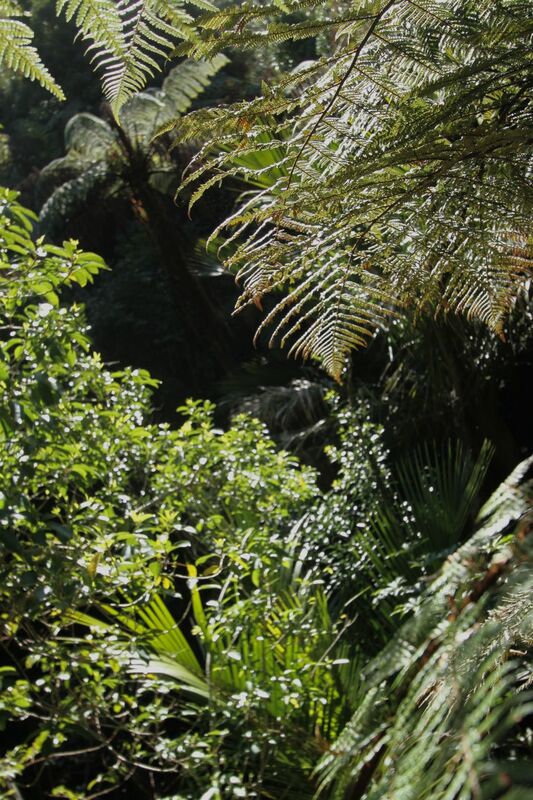 Tree ferns fill the cool ravines and cling to steep hillsides, stretching above the canopy to reach their massive fronds to the sun. 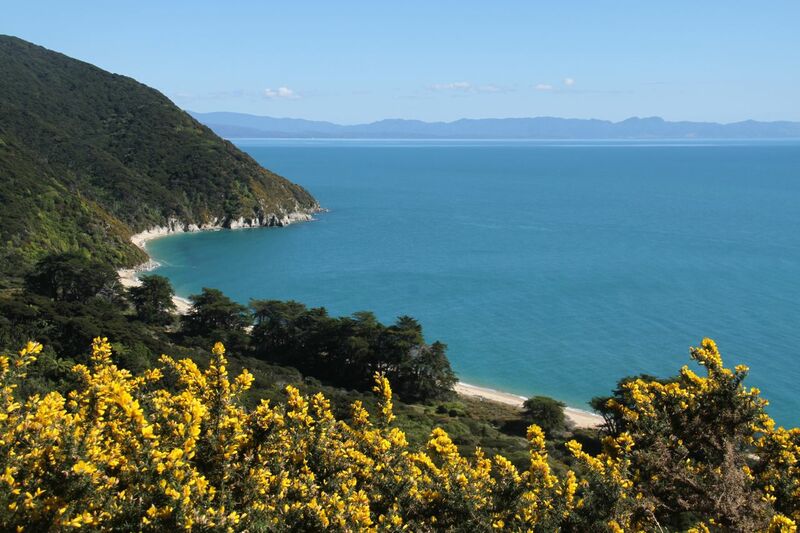 An extremely winding drive over high hills led us to the quieter northern section of the park, home to more beautiful beaches and a broad peninsula that separates the Tasman and Golden Bays. The top of Gibbs Hill provided sweeping views of the bay. 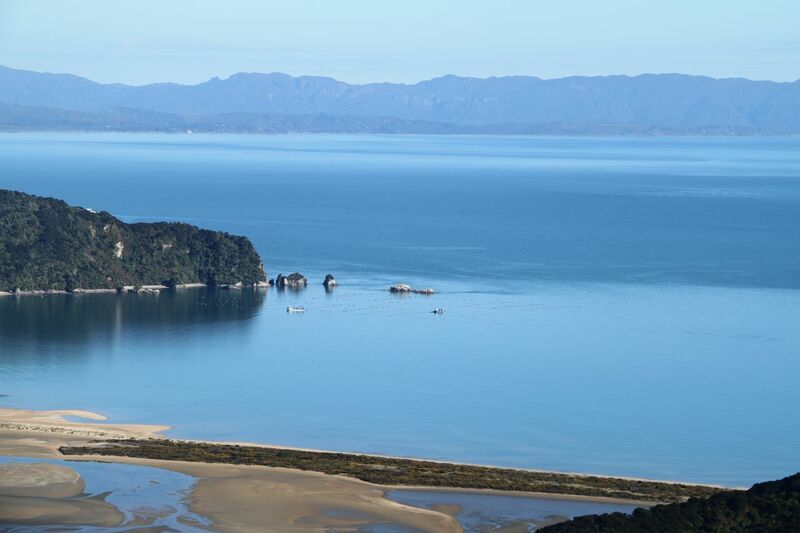 Bright blue tendrils of water slowly filled the tidal basin below and the hazy curve of the Farewell Spit – the largest sandbar in the world – unfurled in the distance. The most beautiful beach of the lot was small and unnamed, and we couldn’t resist a very brief and freezing dip. How can water that color be so cold? By the time we returned to our camp we had covered a little over half the trail in our two day hikes. 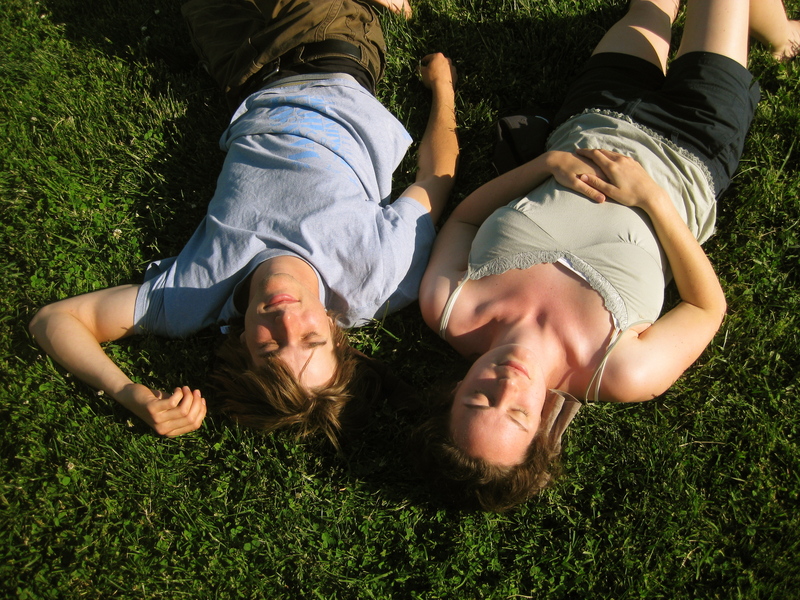 We felt satisfied – both with the walk and with the homemade meatball subs we were about to devour. Plus, with seven months left in this glorious country there’s always time to come back for more. 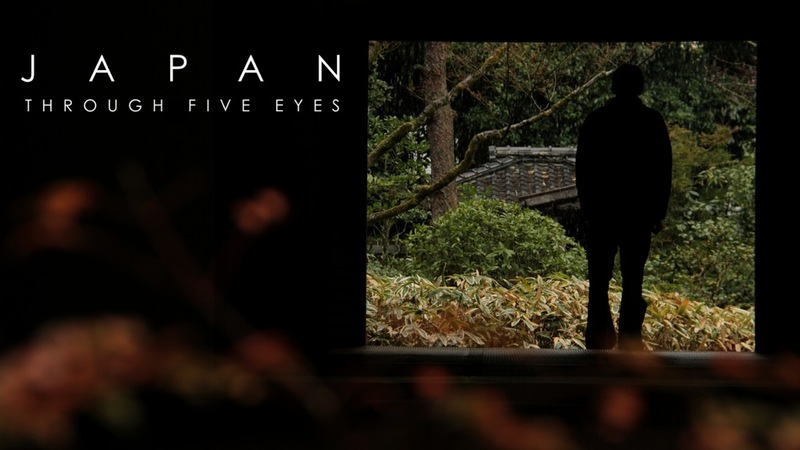 This entry was posted on October 10, 2011 by Five Eyes Films. It was filed under Uncategorized and was tagged with new zealand, oceans, tramping. SO PRETTY! glad you guys are still having great adventures! Miss you both! Love the pictures and the stories. Erik and Ioved Abel Tasman. Check out the town of Nelson if you haven’t already. 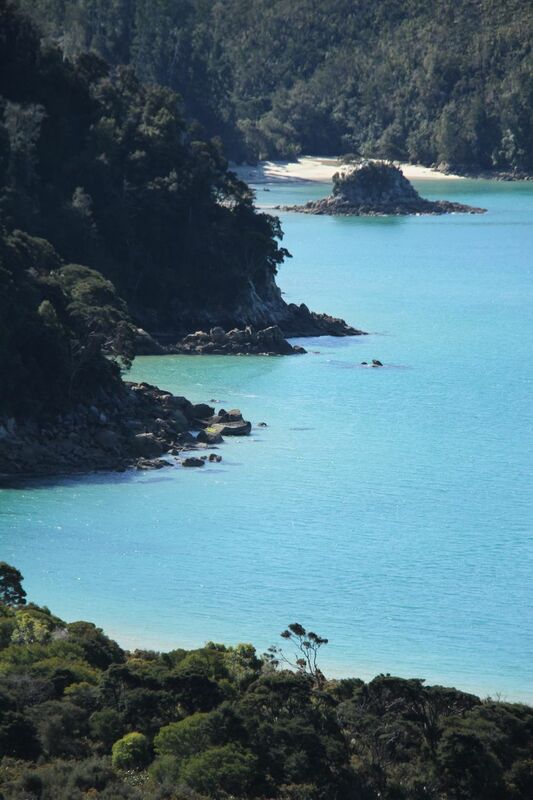 Also when you get down South (Queensland) check out Fiorland National Park and the Milford Track. They only let 40 people a day on the track for the 33.5 mile, 4 day trail. It was about $270NZ in 2008 if you carry your own supplies and you had to get on a list that fills up pretty fast. Enjoy the rest of your time in NZ. So much to do and see…. thanks! we’re headed down the rainy west coast now and might pick out one of the great walks to walk in the next few days. so many options! Gorgeous! 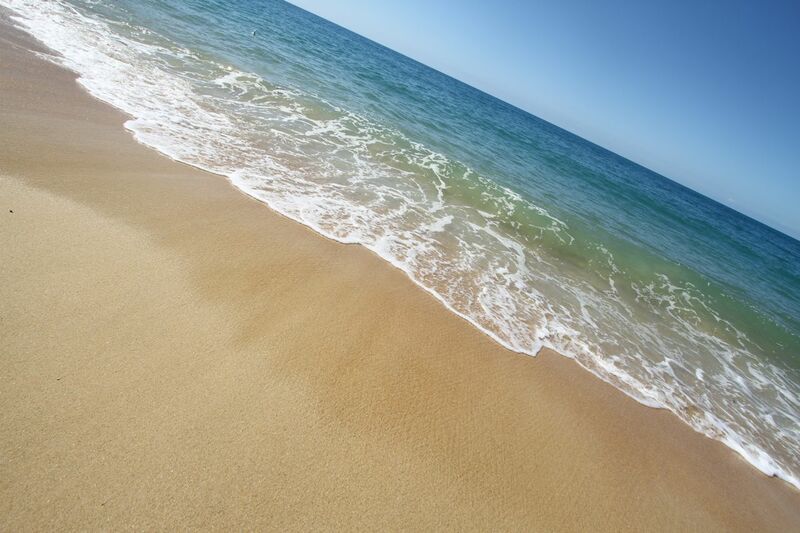 The water does look like it should be warm!